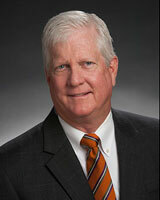 Michael Morrison joined Vintage Realty Company in 2013 in their Commercial Sales Division. He brought with him 25 years of experience in the Shreveport/Bossier market in sales and leasing of all types of commercial properties as well as rural farms and lake properties. Michael is a graduate of LSU with a degree in Geology. He spent ten years in Shreveport working as a Petroleum Geologist exploring for oil and gas in the Ark-La-Tex. During that time he served on the Boards for the local Geological Society and on the Petroleum Log Library. With continued contact with the local industry, he has purchased and sold properties here locally. In 1990, Michael went to work for a local commercial real estate company known as Dowling-Gosslee. This company became partners with Coldwell Bank Commercial in 2005. In 2013 Michael changed employers and continues to be a very motivated salesman in Northwest Louisiana, handling the marketing and sale of commercial property. He has developed many contacts through the years which are seen or contacted regularly. Michael plans to continue in commercial leasing and sales with a focus on new commercial development in the retail and industrial sectors. To contact Michael, call 318-222-2244 or e-mail him at mmorrison@vintagerealty.com.